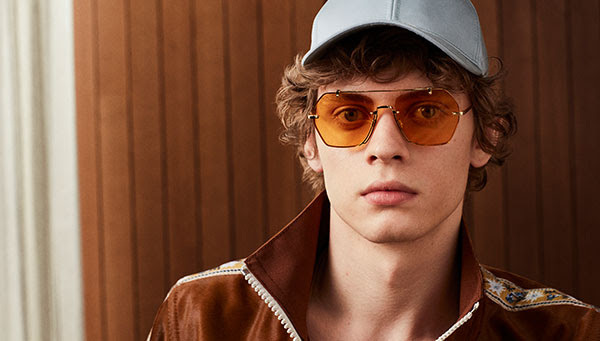 Bally has a clear new direction on eyewear. 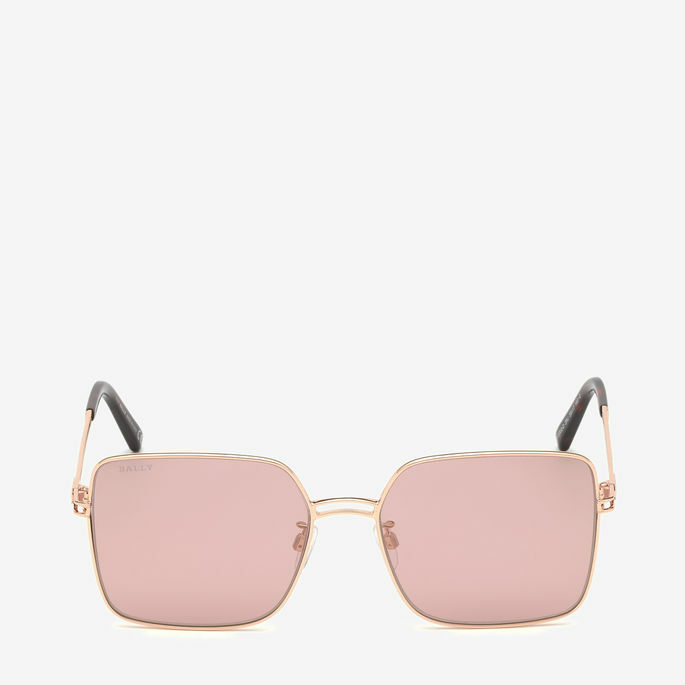 Sunglasses arrive from the world of Bally with two distinct styles for him and her. 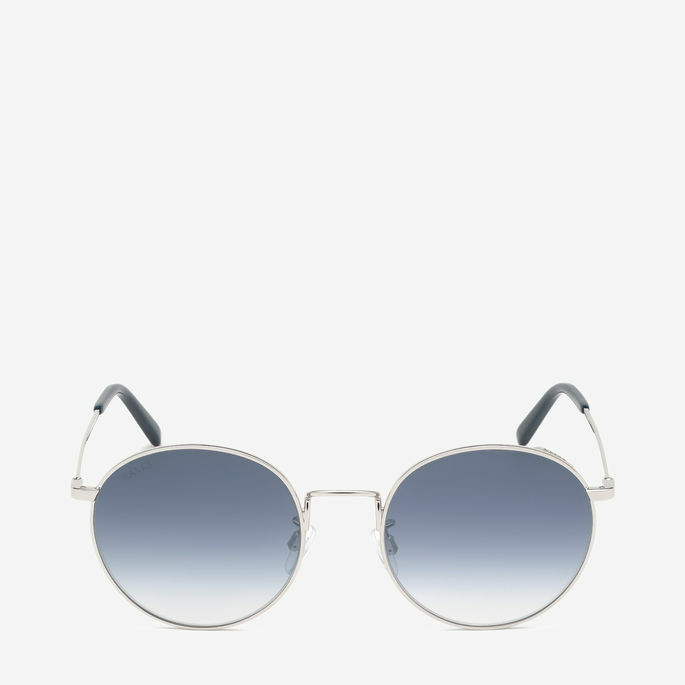 A wire construction that reimagines the classic Aviator, and oversize acetate frames which offer a cool mystique. 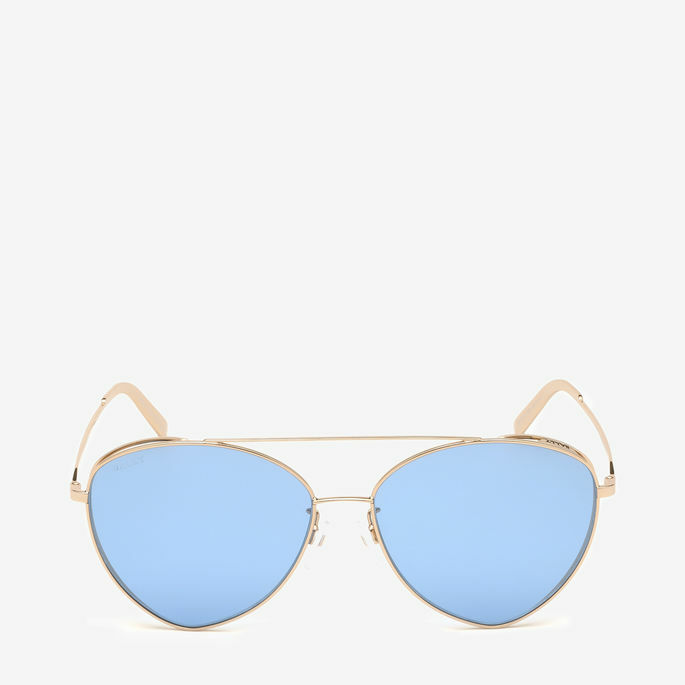 The new releases are timed for the upcoming Spring Summer 2019 season, with two unique personalities; a wire frame Aviator and a chunky oversize acetate style; seeing the world through a lens just got chicer. Ocean D Frame Women’s Sunglasses , A universal fit sunglasses in shiny Red and Gradient Brown. Made from acetate detailed with a discreet Bally Grip, these women’s solid, shiny red sunglasses have a classic D-shaped frame. 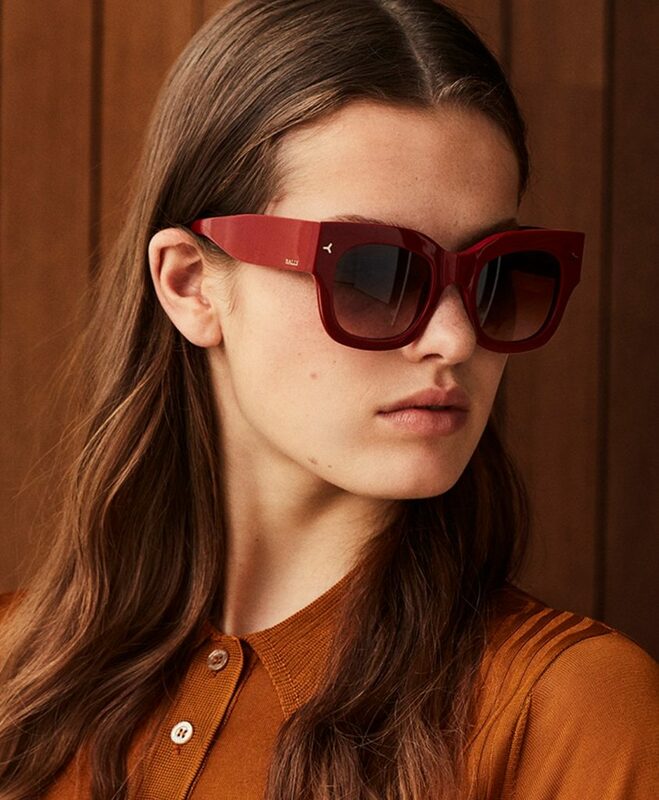 The Bally logo is engraved to the arm, and the sunglasses have a gradient brown lens. 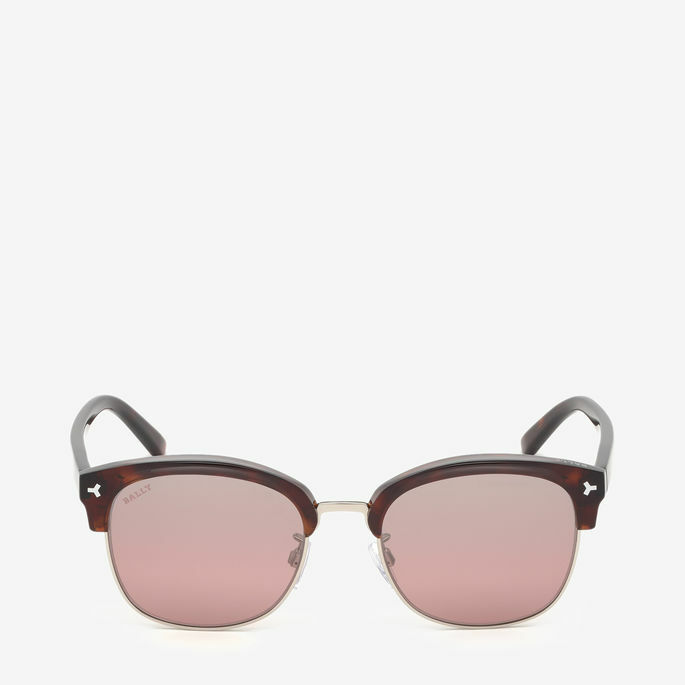 Cruz Geometric Sunglasses for Men, Made from galvanised metal in shiny light ruthenium, these unisex sunglasses feature a geometric shaped lens in light brown with raw cut edges. 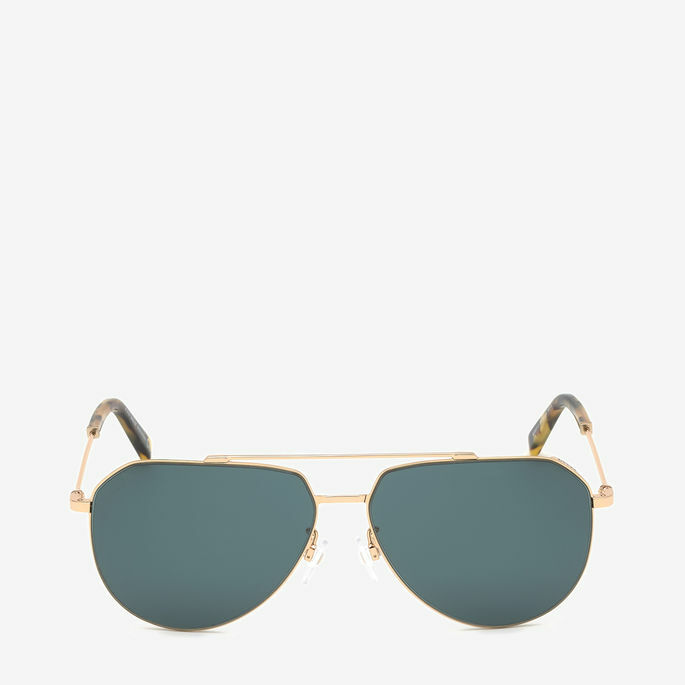 The thin frames extend to the arms, which are tipped with vintage green havana acetate.